The meeting of two legendary techno acts, who have contributed to shape the European techno scene of the last twenty years, Dadavistic Orchestra has everything of a heavyweight entity, with on one side Sheffield-based The Black Dog and on the other three former members of Dutch outfit Psychick Warriors Ov Gaia. While their respective techno credentials have been widely documented, both formations have always balanced this with extensive incursions into much more ambient territories, and this is very much the angle they have adopted for this common project. Six months on from their debut release, Dokument.02 investigates once again sprawling ambient soundscapes, from the Machinefabriek-infused progressive granular guitar drones of opening piece Deep Old Mu, to the heavy textures of Teh Meh, Teh Meh and De Neerstorting Van De Mening Van De Kathderaal or the much more delicate dreamy sequences of Unconcerned, But Not Indifferent. With each new track, the formation defines an entirely new sonic universe, perfectly conditioned to work according to its own rules, in total isolation from the rest of the album. Yet, whilst there is, in appearance, very little linking the six tracks collected here, Dokument.02 actually feels extremely consistent all the way through, with each track telling only part of the overall story. Digging deep into the history book of electronic music, from the austere minimalism of musique concrète and the ambitious experimentations of the early German pioneers to the Detroit of the late eighties and contemporary exploratory sound processing, and without a beat in sight, Dadavistic Orchestra create here a particularly rich and effective soundtrack, built around deeply atmospheric soundscapes which are in turn processed into impressive textural pieces and adorned with varying degrees of melodic structure. At one end of the scale, Teh Meh, Teh Meh is almost entirely devoid of musical elements and relies instead on vast sonic spaces, expanded further with bottomless reverbs. Subjected to wave after wave of noise, it rapidly becomes hopeless to try and identify any of the components thrown into the mix. Later on, De Neerstorting Van De Mening Van De Kathderaal appears to develop from a similar process, but the scope is much more restrained here, and while noise form the bulk of the original set up of the piece, it is later on supplanted by a fragment of melody locked into a slow hypnotic loop. On opening track Deep Old Mu, DO opt for series of heavily processed progressive drones and pulsating bleeps and electronics. At the other end of the scale, DO assemble more hypnotic structures, from the kaleidoscopic arpeggio which radiates through the first half of Petrichore and the pastoral chords which populates its second half to the successive loose dreamy sequences that make up Unconcerned, But Not Indifferent. At times reminiscent of The Black Dog’s recent Music For Real Airports, especially in the way environmental noises and sounds are used to build up a stark sound map, Dokument.02 is a stunning atmospheric collection, which continuously changes in tone and structure, yet appears impeccably consistent from beginning to end. This is due in no small part to the vast experience in creating extremely effective atmospheric electronic music shared by the six musicians involved. 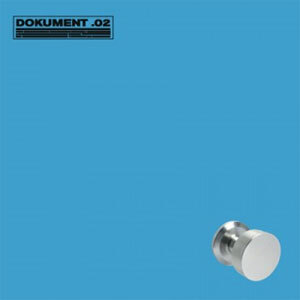 Deeply hypnotic and immersive, Dokument.02 is quite simply a masterpiece. This is an amazing find! How did you come across it? Strikingly beautiful!